Oh, summer: a dear old friend that I never get tired of. Except when it’s 90% humidity and 95° outside. It’s safe to say that summer is my favorite season. From the wardrobe, to the outdoor activities, down to summer-themed food, shining sun always seems to be a mood-lifter for me. On really hot days, I tend to turn to salads as my main course for their freshness factor and how they’re so light on the belly. I remember being slightly obsessed with spinach salads one year and finding all sorts of ways to prepare them. This season, I noticed that I’ve often been turning to quinoa for its delicious texture and how it combines so well with so many veggies and nuts. 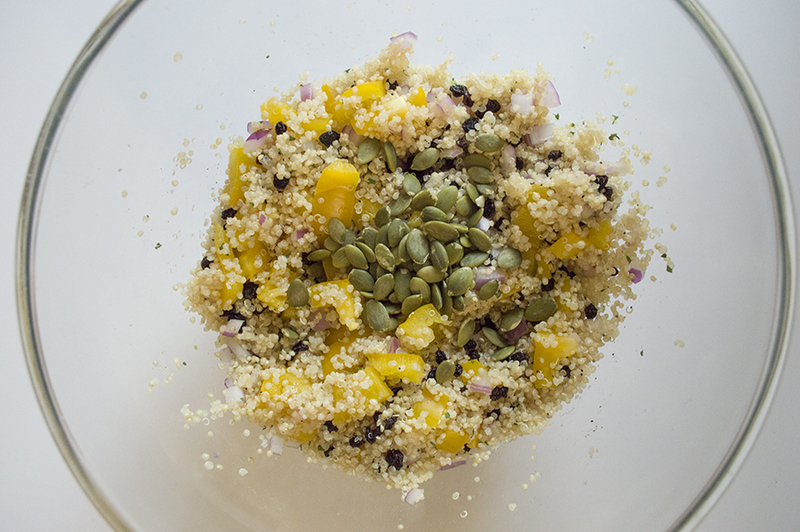 I’ve been making a lot of quinoa based salads and I decided to share one of my favorite quinoa recipes for you to try out and hopefully, enjoy as a healthy, summer meal. Bon appetit! 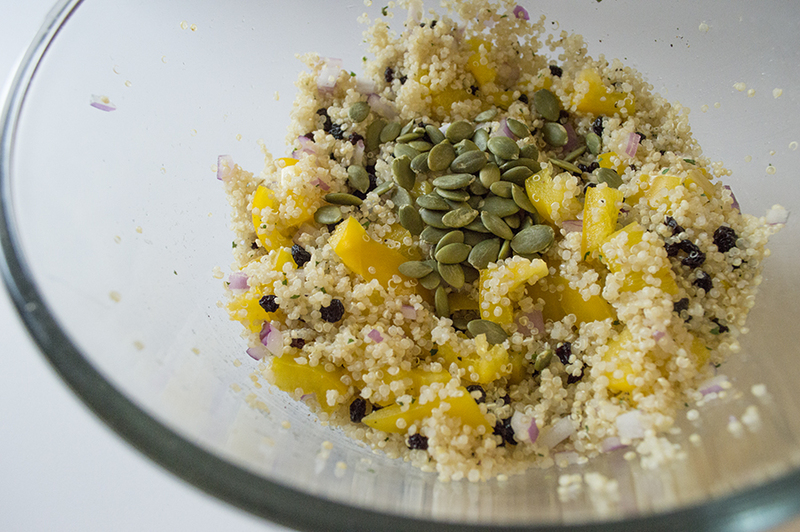 Start by preparing your quinoa. 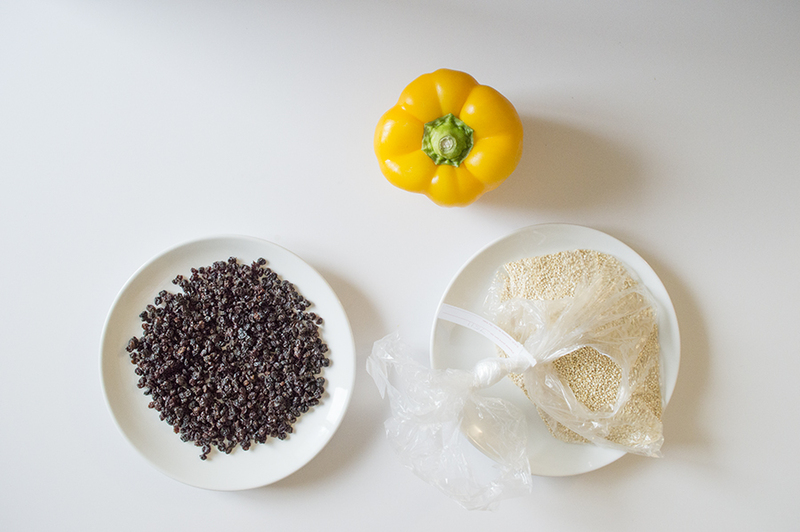 In a small pot, bring 2 cups of water to a boil and add quinoa. Let cook for 8 minutes while stirring occasionally. Remove from heat and let it cool completely. 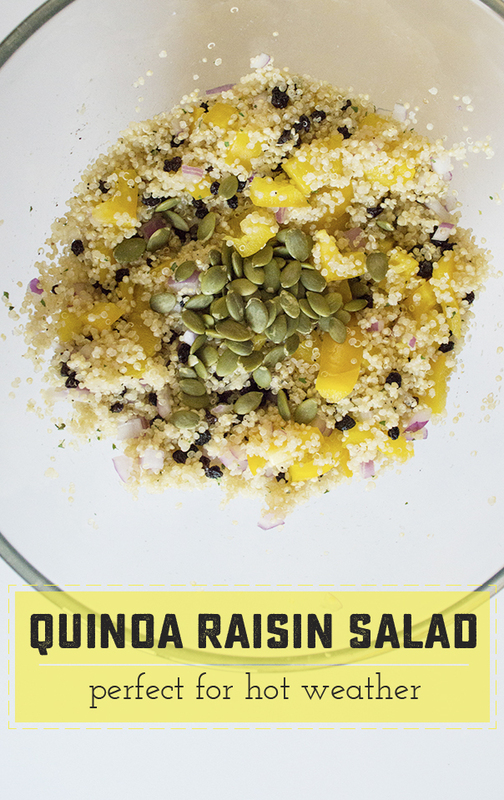 Place the quinoa in a large bowl and add raisins, pepper, and red onion. Mix thoroughly. Next, add your lemon juice and mix. 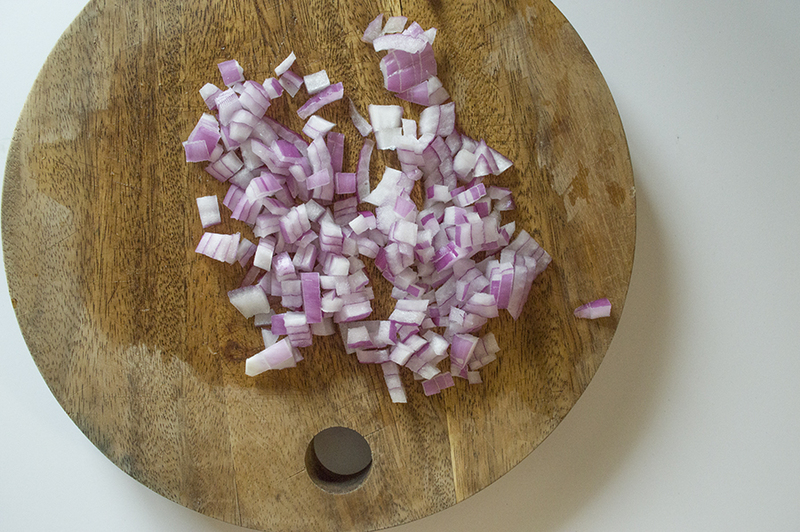 Top it off with a couple pinches of salt, black pepper, and parsley. Garnish with pumpkin seeds.